March 26, 2013, 2:18 p.m.
By Daniel Victor @bydanielvictor March 26, 2013, 2:18 p.m. 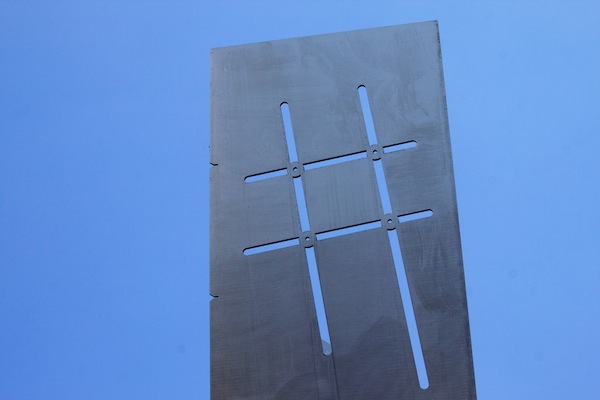 The noble hashtag is cursed by a problem Yogi Berra could appreciate: Too many people use it, so no one goes there. Presumably, most Twitter users use hashtags intending to add their tweet to a river of similar information and to expose their own thoughts to a wider, interested audience. Twitter itself markets the hashtag to those ends. But does that actually happen? It’s unlikely, especially for the most popular hashtags. There are many useful exceptions, but hashtags for big news stories are particularly vulnerable to mathematical futility. According to Twitter, #SuperBowl was used 3 million times over about five hours on Super Bowl Sunday this year. Look at all those people who might be interested in our jokes about Beyonce! And yet getting any single person’s attention is just short of impossible, like a single Niagara droplet screaming for notice as it shoots down the falls. Though there were peaks and valleys, 3 million tweets over five hours comes out to an average of 167 tweets per second. To say that someone would have to search for “#SuperBowl” in the split-second you sent it would actually be a little generous; assuming they’ll notice your tweet if it’s in the most recent 10 tweets, users would have a window of 1/17 of a second to find you. Maybe this would be fine if 17 people were performing a search for #SuperBowl every second — then you’d perhaps have one extra reader! — but there’s no evidence that people are actually using the search tool in that way at anywhere near that frequency. In most searches, the quantity of tweets is overwhelming and the quality underwhelming. It’s worth questioning how many users find hashtag searches useful, but it’s hard to know, since Twitter doesn’t provide such data. Compounding the problem is how the tweets are displayed when you do perform a hashtag search. The default view will show you the “Top” tweets, which is based on a formula that favors tweets and users that have already gained a following. This is a smart effort by Twitter to deliver more relevant tweets, but it also decreases the likelihood that the average user will find a new audience. Average users are buried under another click, as you’d have to toggle over to “All” to find them. It’s not just massive events that have the problem. If you lace your tweet with topical signifiers like #china, #food or #art, or of-the-moment news stories like #marchmadness or #prop8, you’re calculating that there will be a lot of people searching for it, but not so many using it that your tweet would be overwhelmed. It’s a narrow set of circumstances. When the goal is to increase your audience, the hashtag’s effectiveness depends entirely on how many people are searching for it, a number to which we have no access. Additionally, some searches, like #socialmedia, return results from tweets that mention “social media” without the hashtag. Does this mean the millions of Twitter users who deploy such hashtags to increase their reach are all wrong? Well…yes. We certainly have a history of carrying out myths in technology. Shaking a Polaroid picture didn’t make it develop any faster. Blowing on Nintendo cartridges didn’t help, either. We’ve all been told at some point that hashtags connect you to more people, and it’s been widely accepted as fact. In some cases, they can indeed be useful. They’re great for gathering small groups of people; at a conference, there’s no better way to connect with other attendees and read brief summaries of sessions. When kept to a small scale, they can ably perform their service as a filter of relevant tweets (#EastVillage is more manageable than #NYC). They can be useful for subtext; we’ve all sent emails and text messages that should have had #sarcasm attached. The New York Times started the #snowku hashtag to gather snow-themed haikus during a February snowstorm. I’ve heard before: What’s the harm? Why not at least try to include #SuperBowl if every little bit helps? Somewhat of a fair point. Using a hashtag does no harm in the same way wood paneling does no harm to your station wagon, or a misspelled tattoo does no harm to your bicep. Here’s where I’ll join the rest in unquantifiable hoodoo: I believe hashtags are aesthetically damaging. I believe a tweet free of hashtags is more pleasing to the eye, more easily consumed, and thus more likely to be retweeted (which is a proven way of growing your audience). I believe for every person who stumbles upon your tweet via hashtag, you’re likely turning off many more who are put off by hashtag overuse. We need not banish the hashtag, but let’s start putting more thought into when we’re using it. Daniel Victor is a social media staff editor at The New York Times. Photos by Quinn Dombrowski, Alan Levine, and Michael Coghlan used under a Creative Commons license. POSTED March 26, 2013, 2:18 p.m.
Victor, Daniel. 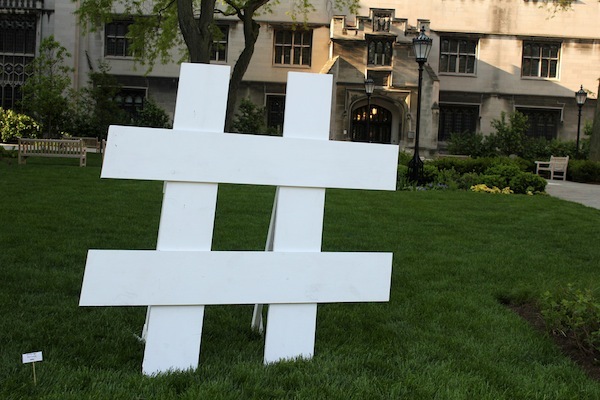 "Hashtags considered #harmful." Nieman Journalism Lab. Nieman Foundation for Journalism at Harvard, 26 Mar. 2013. Web. 25 Apr. 2019. Victor, Daniel. 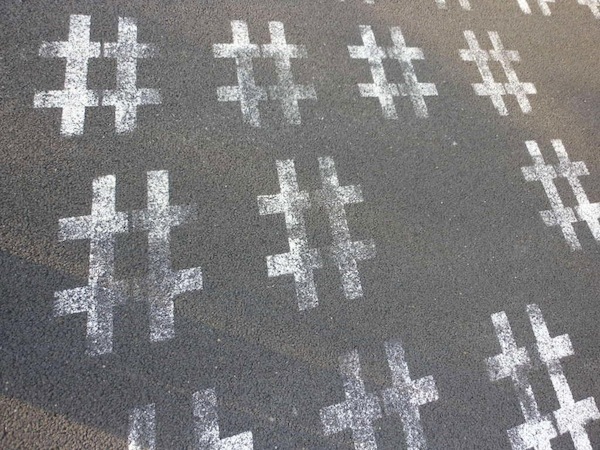 "Hashtags considered #harmful." Nieman Journalism Lab. Last modified March 26, 2013. Accessed April 25, 2019. https://www.niemanlab.org/2013/03/hashtags-considered-harmful/.